Using the influential power of Blockchain, Ripple supports one smooth experience to remit currency worldwide. As financial institutions connect with Ripple’s booming, global network; they can undertake their customers’ payments which are accessible in any part of the world, in a more cost-efficient and authentic manner. Different banks and payment providers can use Ripple (XRP) to stimulate lower costs and also enter new markets. Having more than 100 customers (banks) around the world, Ripple’s offices are based in San Francisco, New York, London, Sydney, India, Singapore, and Luxembourg. So how does it benefit? New volume: New volume and liquidity are enhanced has exchanges have an entry in the market since XRP’s contribution as a digital asset enables global payments. Reliable volume: Payment flows through XRP provide stable volume for exchanges and the associated market participants. Faster settlement: Comparing it to Bitcoin and any other digital asset, XRP settles over 500x quicker, which enables users to experience near instant inter-exchange transfers. So after knowing a gist or surface knowledge on the Ripple, where do we actually investigate in order to purchase it? This article will provide comparisons of top exchanges, along with their prospects, drawbacks, and perks in order to guide users in choosing the right exchange for buying Ripple. Having been established and is known as one of the longest-running exchanges globally– they’ve kept it straightforward and simple thus resulting in creating and developing eminent relations in the industry. They coordinated and serviced closely with Coinbase, a leading exchange currently booming and noted as one of the best exchanges. They’ve charmed and obtained investments from Pantera Capital, a fairly major Bitcoin-specific venture capital investor, where Benchmark owned it by part; Fortress Investment Group, and Ribbit Capital. Based in Luxembourg, it is initially the first and a stand-alone digital asset exchange to be fully modulated in the entire 28 EU Member States, which announced the release of XRP trading on its exchange. XRP is an individualistic digital asset that belongs to the Ripple Consensus Ledger. It is to be well noted that XRP trading was found available from 17 January 2018, with 0% fees incurred for the first month. But the prices have seemed to change within the year due to popularity and demand. The two updated trading pairs to be appended to Bitstamp’s register are XRP/USD and XRP/EUR. XRP is idiosyncratic amongst other digital assets wherein it can act as a linked currency for real-time pact or compromise, providing reliable and efficient value exchange amongst across borders which is efficient. The choice to make XRP deposits and withdrawals commenced on 17 January with full trading services in operation. Furthermore, in regards to Ripple’s XRP incentive program, Until the end of April, Bitstamp will have a limited fee schedule. 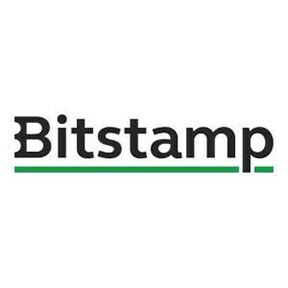 In the midst of public opinion, it shines as an encouraging and impartially positive light on Bitstamp. As it is being well reputed and established previously, we observed at some of the reviews been looked on recently in order to illustrate a more extant picture. People aim to look for low trading fees of .25% or even lower. Europeans recommend using Bitstamp because users can deposit Euros with SEPA free of cost. Users also don’t have to incur a transaction fee when he/she withdraws BTC. There are opinions and claims that the Customer support of Bitstamp is primarily preferable than other exchanges combined, however, can still be very deliberate. As a trade is being established and entered, it is extremely expeditious. The analytics are collated to those of standardized trading floor analytics. On the same grounds, Bitstamp is licensed. Users who depositing amounts of money via credit card can be extremely exorbitant. This is usually a common norm and a standard amongst most cryptocurrency exchanges. Users should avoid usage of a credit card on any exchange or rather, be ready to pay some pretty inclined fees. The corroboration process can be time-consuming for users, but this is highly probable towards to the large inundation of cryptocurrency traders. The amount of tokens is a little restricted (BTC, LTC, XRP, and ETH) in contrast to some more manifold exchanges currently available worldwide. One thing to be noted is that every user seethes about is that transferring currencies out of Bitstamp to European banks can be a hassle since a lot of European banks don’t permit or rather prohibit transactions with Bitcoin-related companies. This isn’t related to Bitstamp problem to a large extent but they are still responsible for the surface level. Summary? If a user is looking out for a good, effortless place to trade (buy and sell) Bitcoin safely, and also Europe-based, Bitstamp is one of the best choices or possibilities which is present and available. 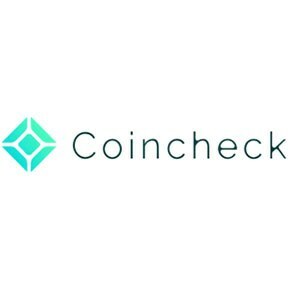 Being one of the leading digital currency service purveyors in Asia, Coincheck has an immense network dispersed over multitudinous countries in the area, wherein they provide a lot of authentic service offerings and also supporting users including both buyers and sellers in the platform. Any source of a guide in which there are numerous cases which determine to be favored in the long term and provides a right vision as time passes, Coincheck assures to remain and retain its position in Asian markets for a long time. The quick and direct trading platform is the foremost service supported by Coincheck, which ensures users to be adjusted into the platform and start trading (purchasing and selling) favored and accepted digital currencies within a few minutes. The user interface online ensures users an easy go experience in starting things off, and later buying well known digital currencies established from any area or location within the platform. There is huge promising assistance for numerous types of established popular digital coins, and traders who usually settle with multiple coins would unquestionably admire the ease of flexibility which the platform provides. Security is a predominant attribute in terms of using the right digital currency trading platforms, and Coincheck attains the high position in this issue. Going in depth towards the security system, the cold storage technology instills and ensures that digital currency is deposited in an authentic manner, and immune from outside hindrances. The rigorous policy regarding security states that the platform itself acts out a big role in making ensure that traders can carry out their daily tasks with ease and peace of mind. Another witty security protocol taken is to makes things much safer is implementing of a two-factor authentication system for users. The two-factor authentication takes advantage of a contact number that is verified and authenticated during the process of signing up in order to offer a better source of protection and ensures to make things a lot easier for those users who have certain worries or insecurities relating to security issues. One main point to be addressed of Coincheck is the number of solutions they offer to their businesses and investors. Companies can associate with the platform in order to begin accepting digital currency payments, therefore exposing themselves to increasing their profit revenues and customers. This can be achieved within few minutes, and Coincheck has already had a lot of businesses ready and currently using the service. In regards with investors, there is the moment to lend and borrow digital currency using the platform of Coincheck, and to obtain interest on the loan, therefore enabling a profitable chance or opportunity which may even appeal to those users who have a certain amount of digital currency to spare. The Japanese cryptocurrency exchange Coincheck has eliminated all sorts of the deposits and withdrawals of NEM and XRP in their platform. 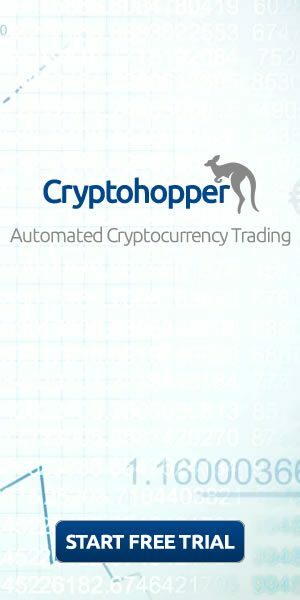 They have announced that their platform has been hacked and transfer trades should be strictly prohibited until further notice. Coincheck is to be known as one of Japan’s widest and largest cryptocurrency exchanges, even though, unlike other well established Japanese exchanges like bitFlyer and Quoine, Coincheck did not sign up and register Japan’s Financial Services Agency thus it was not regulated. It is stated that estimated $123.5 million worth of XRP and $600 million NEM have been illicitly sent out of Coincheck’s wallet. NEM Foundation president Lon Wong has labeled the hacking “the biggest theft in the history of the world.” The amount which was stolen even vanquishes the amount adrift during the Mt.Gox hack. There were no clues as of yet, except for the possibility that the XRP and NEM hack are related given via hypothesis. Coincheck has mentioned and reported the unexpected stolen funds to the Financial Services Agency and their local police. All deposits and withdrawals are holden off until further notice. Founded in 2014 by CEO Chan Myung Hun after he sought out to establish a South Korean cryptocurrency exchange that was exceedingly user-friendly than the current exchanges of the time. When Coinone launched, it was utilized as a Bitcoin-only exchange. From then on, they have included additional currencies including BCH, ETH, ETC, XRP, QTUM, LTC, and IOTA. Coinone is now the second-largest South Korean-based cryptocurrency exchange, racing behind Bithumb. On the same grounds, Coinone held the position of being the ninth-largest cryptocurrency trading volume internationally. Currently, the only fiat currency that can be deposited and traded for cryptocurrencies on the exchange is KRW (South Korean Won). 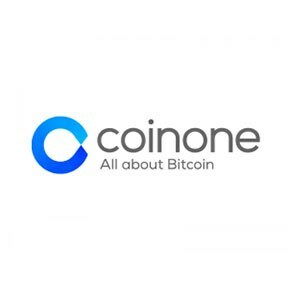 Ethereum, Ethereum Classic, Bitcoin, Bitcoin Cash, Ripple, Qtum, and Litecoin are the very few cryptocurrencies which have been offered by Coinone. Each of these currencies can be in fact; traded with KRW; however, they are not permitted to be traded against one another. Even though it was mentioned previously, the Korean Coinone exchange has now encouraged and enabled XRP trading. This change will shine a positive light as it will introduce, and appeal to more people to XRP, as the platform specifically deals with cryptocurrency-to-fiat trading pairs. On the same grounds, XRP is dealt against the Korean Won, and things seem to be going to a good start so far. To be more precise on this topic, the XRP/KRW trading pair of Coinone has suddenly overtaken BTC/KRW and ETH/KRW. That hindmost one is not unexpected, as there is very little popularity and demand for ETH on this Korean exchange for some particular reason. It is to be noted that XRP exceeded BTC trading in just a few hours which is phenomenal, although; according to Coinmarketcap, Coinone spawned over $5.7m worth of XRP/KRW volume till date. With all this positivity and good news, it proves to show a future that awaits XRP to be in demand, the native token of the Ripple ecosystem. However it could have been quite a good run for XRP, were it not for the Poloniex exchange. To specify, the exchange was damaged once again by a putative DDoS attack. It was noted that, as XRP was generating a lot of trading volume, these attacks happened three times in a week. While that is most likely fortuitous, some people assume to think that Poloniex is influencing effectively the altcoin market currently these days. Fortunately, it seems that exchanges like Coinone will aid in upraising the XRP to heights never reached. Currently, the currency being traded at a value of around $1 on Coinone. Poloniex and Kraken have it mentioned and listed at around $1. Even though it is accurate that in overall, the Asian exchange users often purchase a premium for trading currencies, this would in total classify as an approximate of 20% premium for XRP trading. When seeing the overall picture, XRP has to be successful in exceeding over ETH to aim to become the second-largest cryptocurrency by market cap on a global level. Both currencies will aim to fight and compete in order to contend for a position as time progresses forward, but, since the market cap of both currencies is near to one another. It is definitely not possible for XRP to venture out a breakout whether now or later, although, as experts foresee the token may touch a US$2 value within a few months. GateHub is a Bitcoin, Ripple, Ethereum, Ethereum Classic and Augur wallet. It enables users to store, transmit and exchange these cryptocurrencies in an exchange which is already built-in. All private keys and passwords are processed and encrypted using established industry standard algorithms, wherein GateHub cannot have direct or indirect access towards it. Users keeping their money in Ripple wallets on GateHub is more likely similar to keeping it in a vault with some conditions in mind. 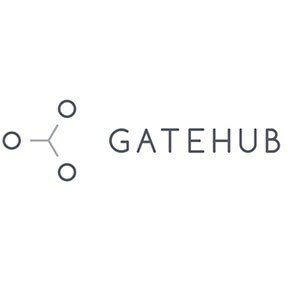 Due to this, GateHub illustrates an interface for a user’s personal vault but, however, they do not have the capability to draw out funds or stop users from withdrawing funds. This is possible since the user only has the secret key. If suppose, GateHub were to close an account then the user can access his/her Ripple wallet using other platforms or maybe even a desktop client using the respective secret key. However, GateHub does hold an encrypted design of the respected secret key so if possible, this can lead to funds being stolen by hackers. It is to be noted that users need to hold strong passwords and two-factor authentication in order to log in Gatehub. 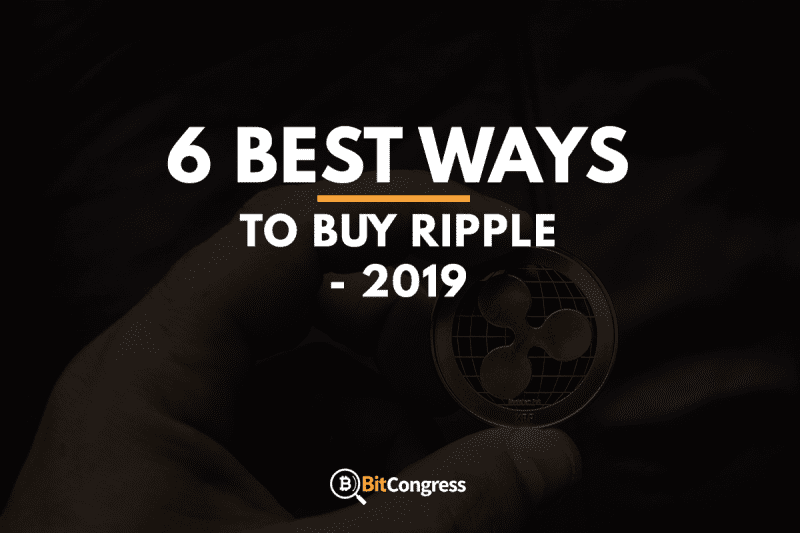 However, users can place their trust on other Ripple wallet holders and trade XRP for their assets. For example XRP for USD. Please do note that XRP is an asset which is native of its kind of the Ripple protocol that does not subsist in physical terms. When a user has XRP in a Ripple wallet it is his/her XRP and not anyone else’s. If a user particularly trades XRP for assets like BTC or USD then later have traded XRP for an IOU of BTC or IOU of USD, then it shows that the users are placing their trust to another entity it would enable them to gain custody of the BTC or USD if been asked for it. This is why users must prolong a trust line to different accounts if been asked whether if he/she would choose to trade with that account. GateHub won’t be available to do it for users, therefore it is up to a user’s belief and diligence and decides whether he/she must trust the account holder generating the IOUs. Korbit is the biggest exchange in South Korea with high BTC and soon ETH volumes. Korbit’s aim is to achieve the free flow of value by employing new technologies such as Bitcoin and the Blockchain. Initially, when dealing with financial services, they all aim to create a world where users can transact with other users freely, without giving up their overall security or convenience. Believing in the power of technology in order to bring progress and development, Korbit also makes it sure to foremost believe in the value of a balanced society and sustainable communities which are endurable. Technology should be created and provided to not further only a small group of individuals but, in fact to a better society itself. Korbit’s founders had formerly dedicated themselves to purposes that benefit the interests of the public and at Korbit they move further in order to strive and contribute to providing a common good. Korbit has overall raised $3.6M from big VC funds which are few in number as well as private investors. Korbit was pleased to report their fuller support for trading Ripple (XRP). 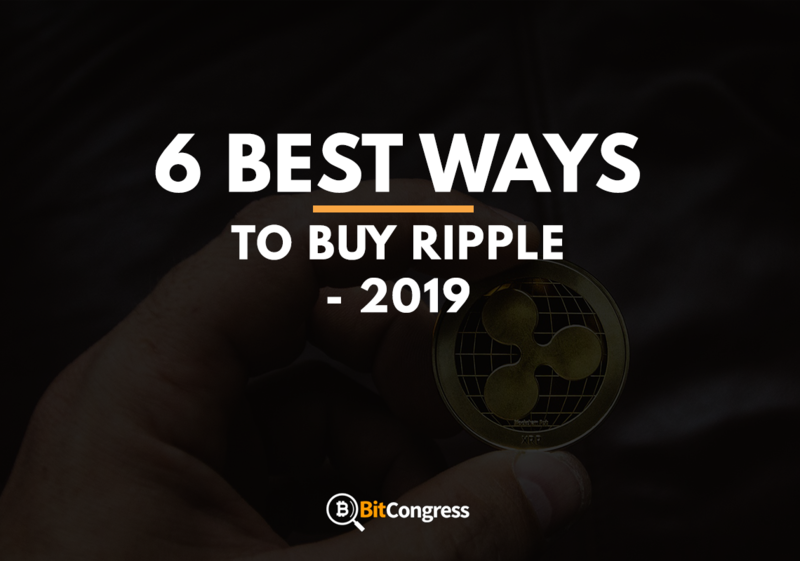 Ripple is known to be one of the leading cryptocurrencies and also has recently experienced an inclination in price. Users can now trade (buy and sell) Ripple on Korbit by ordering limits or placing market orders. Looking back three years, Korbit has securely stored $3.6 million in investment from South Korea’s most acclaimed investment firms and also combines the giant $17 billion telecommunications SK Telecom, the South Korean arm of the Japanese investment company: Softbank, and Tim Draper – a billionaire angel investor. Even though Korbit currently falls behind Coinhub; in terms of consumer/user base and market capitalization, it has a highly significant influence over the bitcoin industry in South Korea and market exchange since its strong list of investors and supporters. Thus, the authentication and validation of Ripple by the Korbit team is likely to pose an incline in demand towards Ripple in the exchange market of South Korea, which is the second and third largest market already in the global Ethereum and Bitcoin exchange markets. In regards to comparing other exchanges, Korbit does offer the same services however, they take pride in constantly investing in new and latest cutting-edge technologies. Korbit’s approach towards developing a customer base enables it to give it a height above over other exchanges. Regarding business purposes, web programmers were informed to include a COBIT pay button in the payment options wherein users are able to receive Bitcoins as payments. The companies could be either shopping malls, blogs, e-commerce companies etc. The owners of businesses with their services being provided offline could use an additional feature called KOBI fee. Downloading such a feature on a mobile device will enable users to obtain Bitcoins as payment. The developers are entitled to use a different API for providing different features of Korbit in their own application. In case of any doubts with regards to trading and exchange, Korbit provides a 24/7 assistance customer support. Founded in San Francisco, Kraken is one of the largest Bitcoin exchanges and is even opted as the largest bitcoin exchange on the euro volume, liquidity, and the trading of Canadian dollars, US dollars, British pounds, and Japanese yen. Kraken was recognized internationally during 2011 where many users were adhered to it, and was initially the first Bitcoin exchange to have a trading price and volume shown in the Bloomberg Terminal. Kraken’s accomplishments also comprise being the first to verify and pass a cryptographically verifiable proof-of-reserves audit, is the Tokyo government’s court-appointed trustee, and Germany’s BaFin regulated Fidor Bank. However, Kraken is another one of the exchanges overall that users can trade (buy and sell) Bitcoin. In relation to XRP, registration process seems to be easier however many users seem to face problems as such due to unexpected changes in the platform. Supported Pair of XRP: XRP/EUR, XRP/BTC, XRP/USD. It is advised to never use these exchanges as personal wallets in order to store a large amount of Ripple in it due to such centralized exchanges are always in line with threats and cyber attacks. If the user is someone who is a determined buyer and holder of Ripple, I would definitely suggest him/her get Ledger Nano S hardware wallet which will, therefore, provide the capability in which the user stays in total control of all of their coins.